First off, I'll give everyone a cool search engine optimization tip that they can use regularly to make sure their marketing is working! 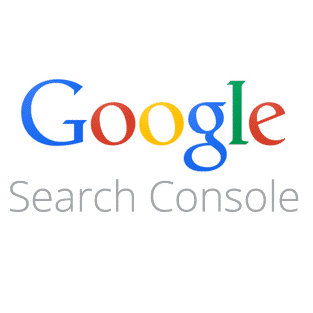 Check out Google's Search Console (formally Webmasters tools). Dig into "Search Traffic" and then "Search Analytics", if you just set up the Search Console now, check back next week so you can see some actual data. The "Search Analytics" tool is awesome, play around with it to learn how you can change your data to learn what people are googling to get to your website! This could potentially push away some business, but we don't want to get a contract just because we are local. Any company or individual looking for a website should not restrict themselves to their immediate geographical area. Find the Best Fit For Your Needs Not Your Commute! A web developer or company becomes a long term partner. At Grover Web Design, we have had some of our clients for over 10 years! Long term business relationships are much better than one off projects for both the developer and the client. Research a company, dig into the their website and their clients. Think of it as hiring an employee more than a subcontractor. Yes, we have many clients that we have not met face to face. I'm not saying that we are unfriendly, but sometimes you just need to get to work. Meeting face to face is more for the handshaking and smiles, interacting via email or chat is for getting things done! Go ahead, check out biglatchon.org, we definitely consider Joanne from BLO as a friend, but we've only interacted online! This is a very complex web interface, the website manages the many community driven events that Big Latch On facilitates. It's a great cause and we are happy to be part of it! Again, it feels crazy to say this, but I've been working with Frank Celeste for over 10 years. Frank is a successful real estate agent in the Boston, MA area. Check out his website: frankceleste.com. Frank is the perfect example of someone who needs a remote developer. Any second he spends sitting there having a coffee with me talking about his website, is wasted! Frank needs to be showing properties and helping his clients, that is where he makes his money. Since we have a long business relationship, Frank just leaves things up to us. He trusts us when we tell him he needs an upgrade or change, just says go with it and then goes about his business focusing on what makes him money. We built the new OCW website just about a year ago, since doing so we have taken over management of two other websites for the Galen Institute. Check out our feature on the OCW Website: What We Do For ObamaCareWatch.org. As soon as we started working together, we knew it was a good fit. Working in DC and dealing with the fast changing world of politics makes a remote relationship seem like gold! We host/manage their websites, work with them to develop new web applications, and handle their AdWords/Facebook marketing campaigns. For example, let's say you have a face-to-face meeting set up, but 5 minutes beforehand something big comes up that needs your attention right away. Cancelling an online meet-up is nothing, neither party's days are ruined with a commute and the client is able to focus on the urgent issue at hand. Clients need to be able to continue to run their business along with their website. As web developers/designers, we focus on being flexible so they can! *We have met a couple of these clients face to face (APT, Adam Geragosian, and Dags Deli). They personally know someone at GWD, but we have not met with them for website purposes. Great article, I 100% agree. I am a web developer and sometimes meeting with clients ends up being a big waste of time. People who clearly get their point across in an email or spec document usually end up getting a better product.